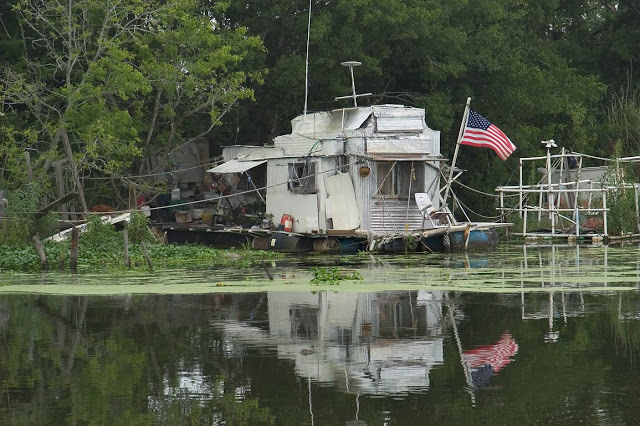 Looking around, shanty boats have been around for a long time. The dream of living on the water is hardly new. 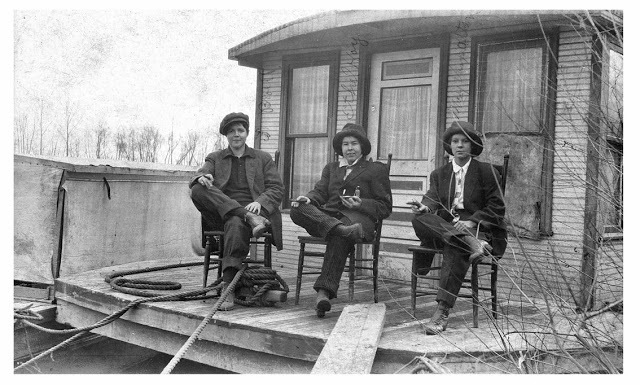 Shanty boats were the obvious choice for itinerant workers, miners, dockworkers, and farmers. 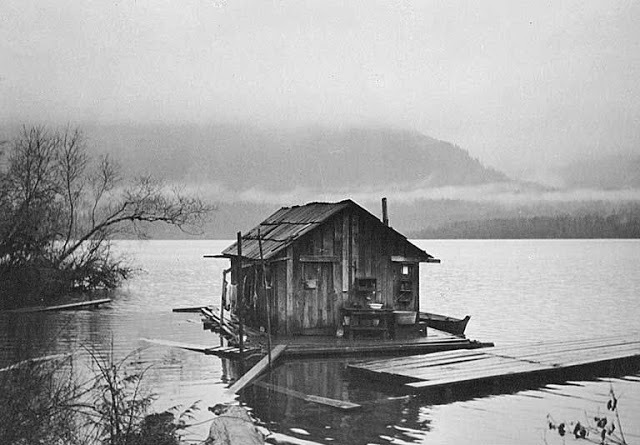 And as living on land has felt more and more constrained, people have looked to the relative freedom of rivers, lakes, and seas. Here are some of the inspirations I’ve found from various online sources. 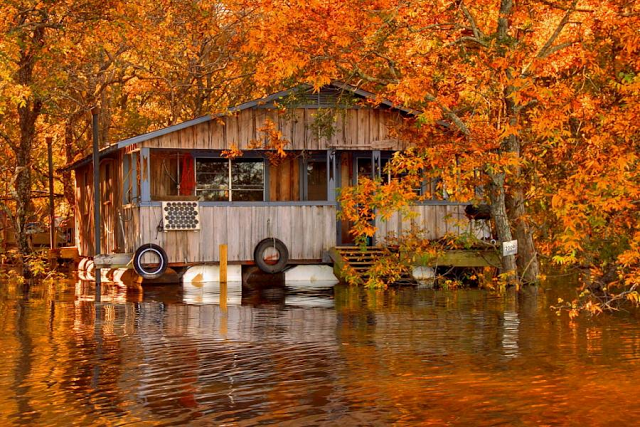 “Floating camp on the Ouachita River by FinchLake” by Scott Whitlock. “Euro Floating Cottage” from Euroship Services. 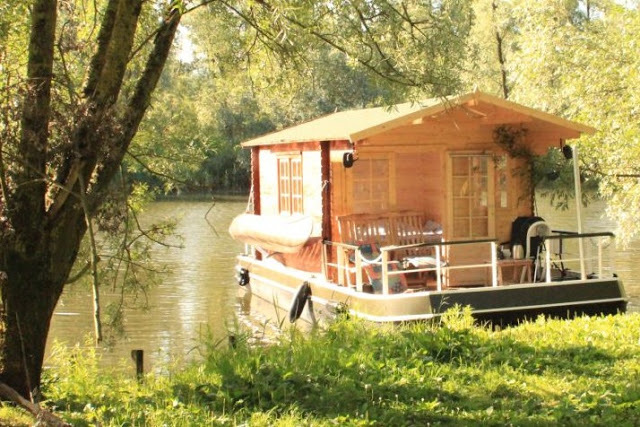 Custom made floating cabins. 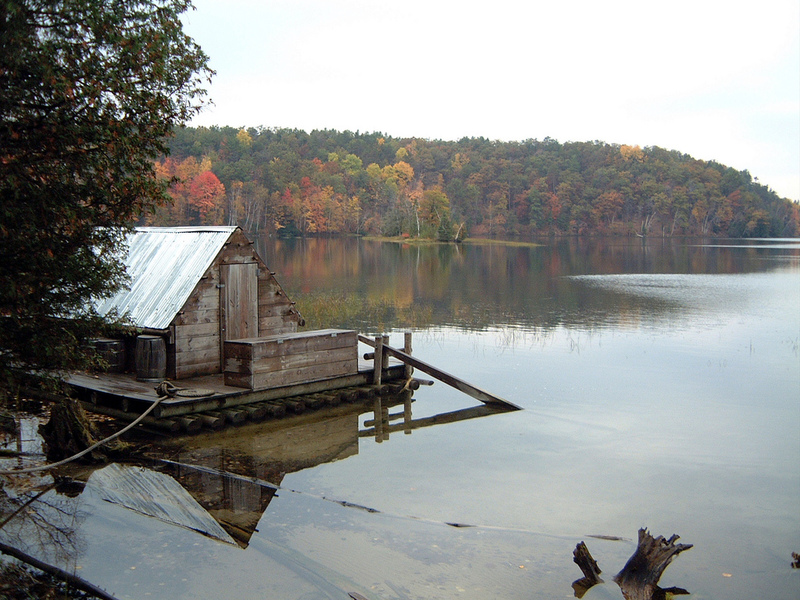 “Float Cabins on Powell Lake” by Kent Griswold. 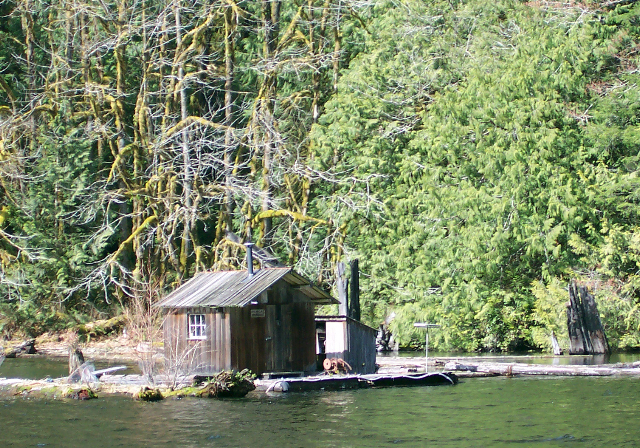 Float cabins in Coastal British Columbia. 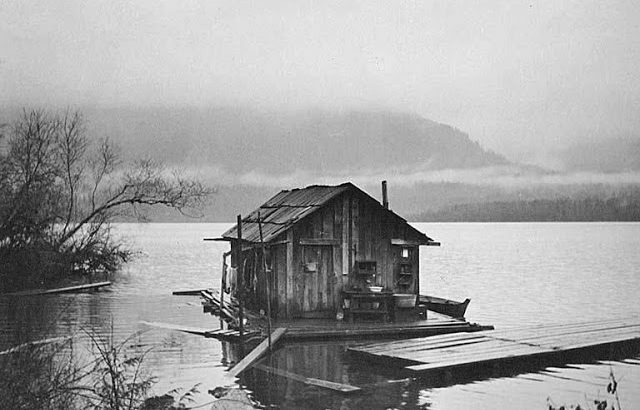 “Loggers floating cabin” by Darian Rawson. “Floating Shack” by Sadieinoz1957. 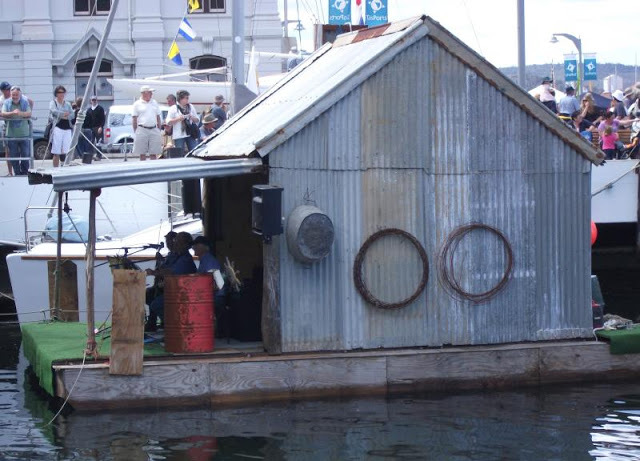 A floating bluegrass stage on the Derwent River, Hobart City, Tasmania, Australia. 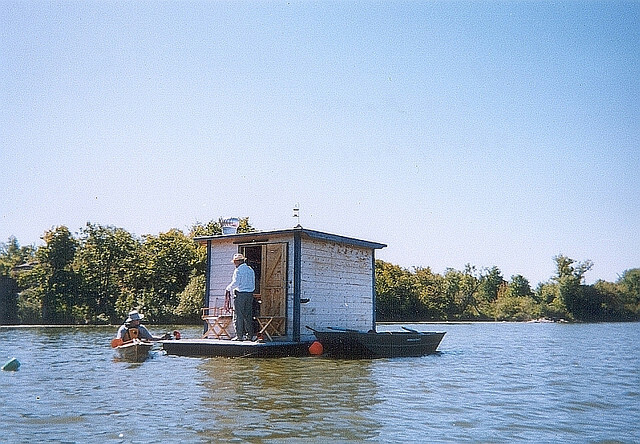 “Jack Kern’s Shantyboat” by Bryan Owen. Permanently anchored in a little bay off the beach on the Ohio River.